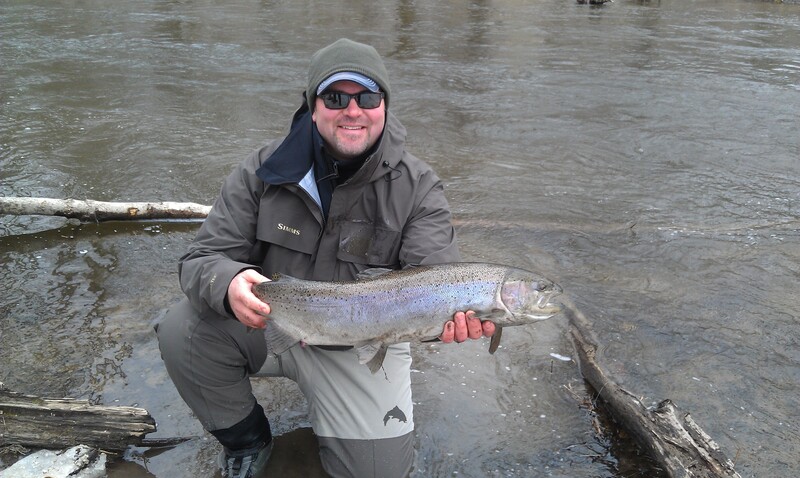 Are you following us for the Latest Reports and News on the Salmon River?? Fishing on the Salmon River has been tough for the first half of April, Hopefully were over the hump and good days are ahead of us. The flows are still high on the Salmon River but we shouldn’t see it any higher hopefully unless we get some rain. Rumors say the hatchery is done collecting eggs and the hatchery has plenty of adult steelhead in it waiting to drop back into the river. The ice on the eastern end Lake Ontario is finally gone and that opens the inshore brown trout fishing.